Patzia Gonzales offers $50.00 off Divorce Angels users first session when paying out of pocket. I've been travelling the Path of self-growth, inner discovery, spirituality and empowerment for many years. My goal is to help people find a way out of the darkness of anxiety, fear, anger and other emotions that trap us in emotional and physical pain. I've been there. I have a long list of trainings, some of which I mention below, and I am happy to continue learning, studying and participating in Professional Development Seminars. I've presented over 200 workshops; participated in radio shows and was a staff member of the Gestalt Institute in Cuernavaca, Mexico. 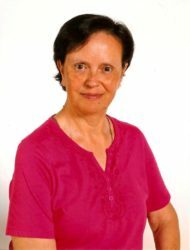 I am a Gestalt and Client Centered Psychotherapist, a Family Constellations Practitioner, a Clinical Member of OSP (Ontario Society of Psychotherapists), a Diplomate in Comprehensive Energy Psychotherapy (D-CEP), an EFT Master Practitioner (EFTMP), and a Cognitive Behavioural Therapy (CBT) Practitioner. With the advent of the College of Registered Psychotherapists of Ontario in 2015, I became a Registered Psychotherapist. I feel deep gratitude for the therapists I have worked with and trained with over the years, as well as for my clients. It is my goal to establish a safe space for others to help them find their way out of their own darkness of emotional and physical pain. Patzia has been working as a therapist for over 20 years in different countries and with people from all walks of life. Being bilingual —English and Spanish— along with her in depth knowledge of Latin culture has proven an invaluable asset while working with people from different cultural backgrounds. Patzia has survived a couple of “relationship experiments.” Each time, she thought the grief was more than she could take; only to find out she’s more resilient than she had imagined and that she is responsible for her own happiness. This experience, combined with solid counselling training, allow her to help divorcing clients regain joy, find balance, and move beyond a place of pain and distress.